Microsoft’s new operating system may look like a radical departure from Windows 7, but it works, it makes sense – and it’s the future. About the Start screen: First, let’s deal with the divisive Start screen. I’ll admit that I had some misgivings on this score initially. But once I realized that the Windows 8 Start screen simply replaces the old Start menu, my reluctance about moving to Windows 8 vanished. The Start screen is flat, rather than hierarchical, as earlier Windows Oss are; however, that simplification in design makes it much easier to navigate. Whether you use a touch-enables screen, a laptop touchpad, or the scroll wheel on a mouse, practically everything you need for launching and managing applications is right there, within easy reach. And if you’re a Start menu diehard, you can right-click the lower left portion of the Start screen to bring up a simplified Start menu. 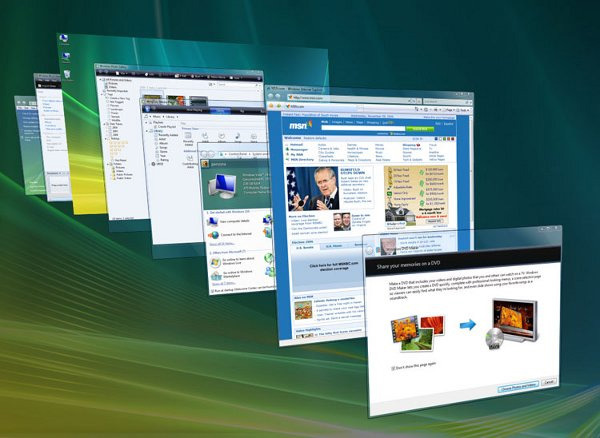 Numerous small improvements to the desktop user interface make many computing tasks easier to perform. Pull down the File menu in File Manager to see the system’s list of frequent places. Click the Home menu to get a pop-down ribbon of commonly used commands. Need the control panel? Move the mouse cursor to the lower left and right-click, or press <Windows>-X, and the simplified Start menu appears with commonly needed desktop commands. If you can’t find an application by pointing and clicking, start typing its name; you’ll likely find it via search. Under the hood: The biggest improvements to Windows 8 are under the hood. The new graphics subsystem, which uses DirectX to render all text and windows, makes the OS more responsive as you move windows or scroll through the Start screen. Internet Explorer 10 and Microsoft Office 2013 feel faster, too. The graphics subsystem also provides a framework for 3D acceleration on tablets and on Windows 8 Phones. Both printing and printer handling work significantly better, thanks to Windows 8’s use of what Microsoft calls an extensible print-class driver framework. Instead of having to keep track of thousands of individual printer drivers, Windows 8 can use a single class driver to support multiple similar printers. In addition, the user interface for managing print jobs and printer features is simpler and more visual than in Windows 7. The new Storage Spaces features allows users to create redundant storage from drives of diverse sizes that may be attached to different interfaces, and the resulting storage pools protect their data from drive failures. File History, another storage-related feature, makes backups simpler and easier to perform. Yet another noteworthy improvement is Microsoft’s upgraded system refresh capability, which enables you to restore a system to its clean-install or almost-clean-install state after a poorly written application has damaged it – and to do so while retaining all of your files and settings. Furthermore, if you’re willing to work from the command prompt, you can customize what the refresh system keeps and what it discards. Touch: Windows 8 offers true ten-point multitouch that works well. Skeptical PC users may remember past Microsoft Tablet PC effort that were clunky and cumbersome to work with, but Windows 8 is a different animal altogether. Touch is an integral part of the experience, not a bolted-on afterthought. A common ecosystem: Having a common app ecosystem that will run on PCs, tablets, and even phones brings Microsoft into the second decade of the 21st century. Though old-school PC users may lament the changes that their desktop system has undergone, the ability to navigate through a phone or tablet similarly to the way you would through a laptop or desktop PC promises to make your computing life easier.